You can easily convert WordPress Blog to an Apple iPhone app available on Apple store with a free online service. Even if you are not sure how to Convert WordPress Blog to an iPhone app with that free online service; just follow this article. We wrote how to create an Android market place app; you might read that as well. Why we need to Convert WordPress Blog to iPhone app ? It is not that, we are getting a free opportunity to Convert WordPress Blog to iPhone app so we will convert it. The mobile market is expanding rapidly, iPhone, iPad has been an important part of our thought; we wrote an article on optimization of Blog for the mobile platforms; you may read it if you are interested to learn more on it after reading the current article “Convert WordPress Blog to iPhone app without knowledge of coding”. Here are the steps to Convert WordPress Blog to iPhone app within few minutes. First, in order to Convert WordPress Blog, you need to visit this website and signup. You will receive an email for confirmation link to activate your account. 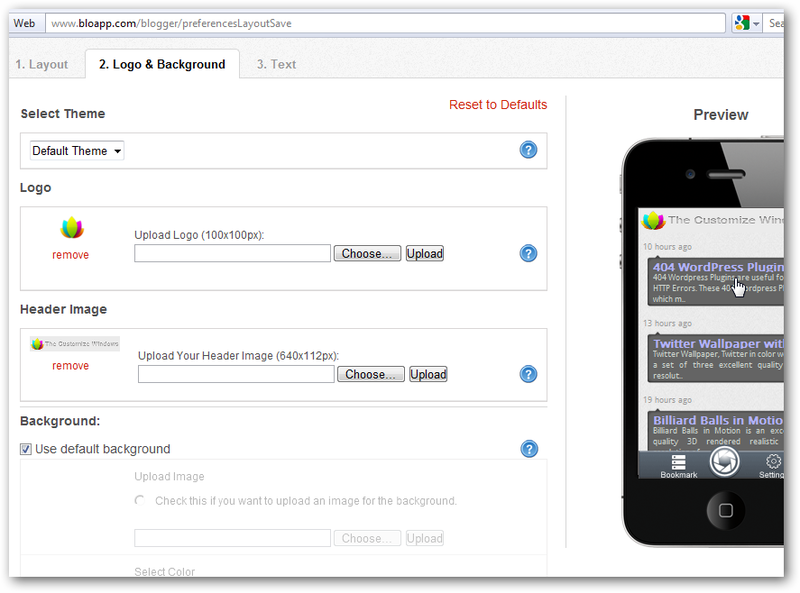 After doing this step, we will proceed to the next step to Convert WordPress Blog to amazing iPhone app. Login to your account, you will be in the Dashboard. Click “Add Blog” button. Easy first step to Convert WordPress Blog to iPhone app, just fill the form. After filling the form, you have to confirm ownership of your blog, it is like what you did to use Google Webmaster Tools. After confirming, you will reach a page where there is a button saying, “Lets Customize” (or like that). Click it. From this point your critical steps to Convert WordPress Blog to iPhone app begins. You can Convert WordPress Blog to iPhone app within few clicks by uploading unprofessional graphical parts and no one will click your iPhone app as it is not visually attractive. Officially you will Convert WordPress Blog to iPhone app, but actually that method to upload poor quality graphics is bad than not to Convert WordPress Blog to iPhone app. The first step of graphical part to Convert WordPress Blog is to choose one layout between two options, save and continue. Now the graphically important part to Convert WordPress Blog to an attractive iPhone app begins. Add the graphical parts like above as the last step to Convert WordPress Blog to iPhone app. Beside just to “Convert WordPress Blog to iPhone app” you can add Google AdSense or any other Adverts too. This Article Has Been Shared 2968 Times! Cite this article as: Abhishek Ghosh, "Convert WordPress Blog to iPhone app without knowledge of coding," in The Customize Windows, July 29, 2011, April 20, 2019, https://thecustomizewindows.com/2011/07/convert-wordpress-blog-to-iphone-app-without-knowledge-of-coding/.